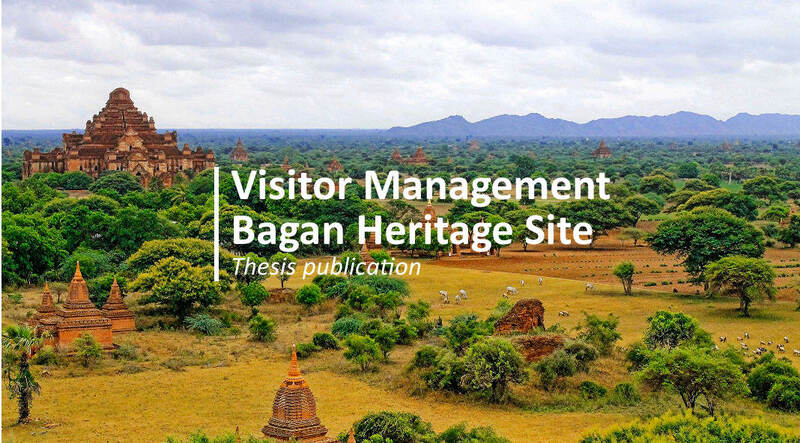 If you follow this blog frequently you might know that from time to time we publish final master thesis from the students that graduated from the NHTV Master of Arts Tourism Destination Management. 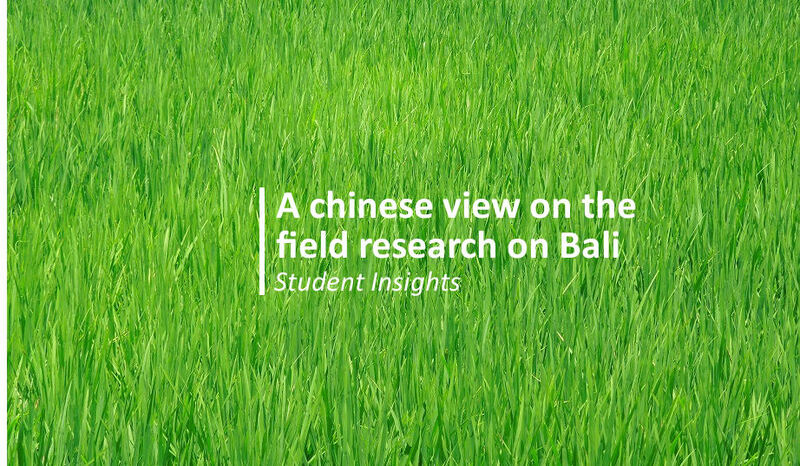 This example is produced by Manuela Blapp and deals with the topic of Creative Tourism in Bali’s Rural Communities – Examination of the current offer and advice on future product development. Below you can find the executive summary of the paper as well as the whole thesis. Enjoy the read! Bali’s tourism industry has undergone a serious makeover since the Netherlands started promoting tourism in the Colonial era. Over the last decades, tourist numbers have increased considerably and cultural tourism has transformed into mass tourism. While this development has brought welfare, it also led to a vulnerable economy over-dependent on tourism, unequal distribution of income, commoditization of culture, pollution, waste problems and water scarcity. Bali has started to address these issues and established the Community-Based Tourism Association Bali (CoBTA) which develops tourism in rural areas to improve their welfare. The organization recommends villages to engage in creative tourism to differentiate themselves in an increasingly competitive community-based tourism market. The thesis uses the two overlapping concepts, community-based tourism and creative tourism. Community-based tourism aims to involve local communities in the tourism development (Hall, 1996), maximize the benefits for locals (Tolkach et al., 2013) and bring tourists closer to villagers (Butcher, 2003). However, success has been rare and achievements small (Tolkach& King, 2015). Creative tourism is a more (inter)active successor of cultural tourism (Fernandes, 2011). It is about active consumption of living, intangible culture, interaction between hosts and guests and self-expression of tourists (Richards, 2011). Theory shows several synergies between creative tourism and community-based tourism, suggesting that creative tourism in villages may lead to tourism which is profitable in the long run and has a socially and culturally responsible outlook. Examine creative tourism products in Bali’s rural communities and first, evaluate whether the concept is suitable for villages. Secondly, give advice on how to develop and enhance rural creative tourism products as a means to strengthen the destinations’ competitiveness over the next five years. The research followed an interpretative paradigm, underpinned by subjectivist ontology. Knowledge was created inductively and theory was created which is grounded in the gathered qualitative data. Reflexivity was adopted throughout the whole process to increase trustworthiness and validity (Bailey, 2007). 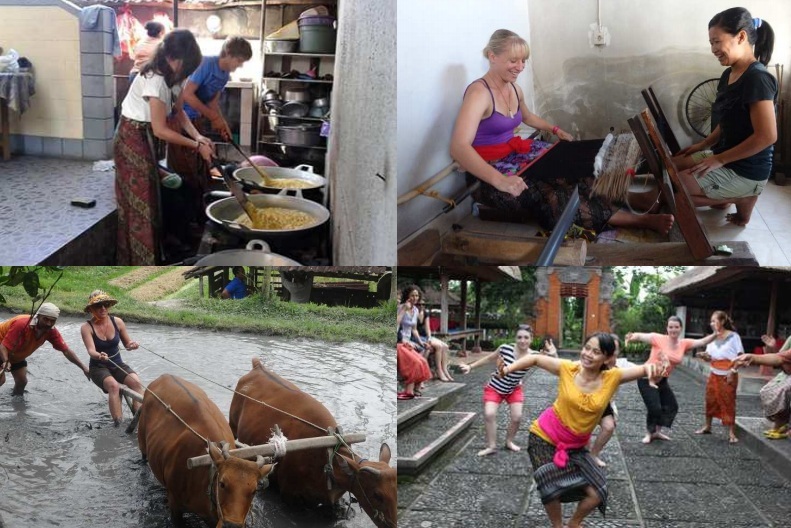 Creative tourism in Balinese villages was examined with an ethnographic approach to “understand and describe social worlds” (Emerson et al., 2011, p. 26). Locals and tourists were studied to understand how products are developed and implemented in villages. 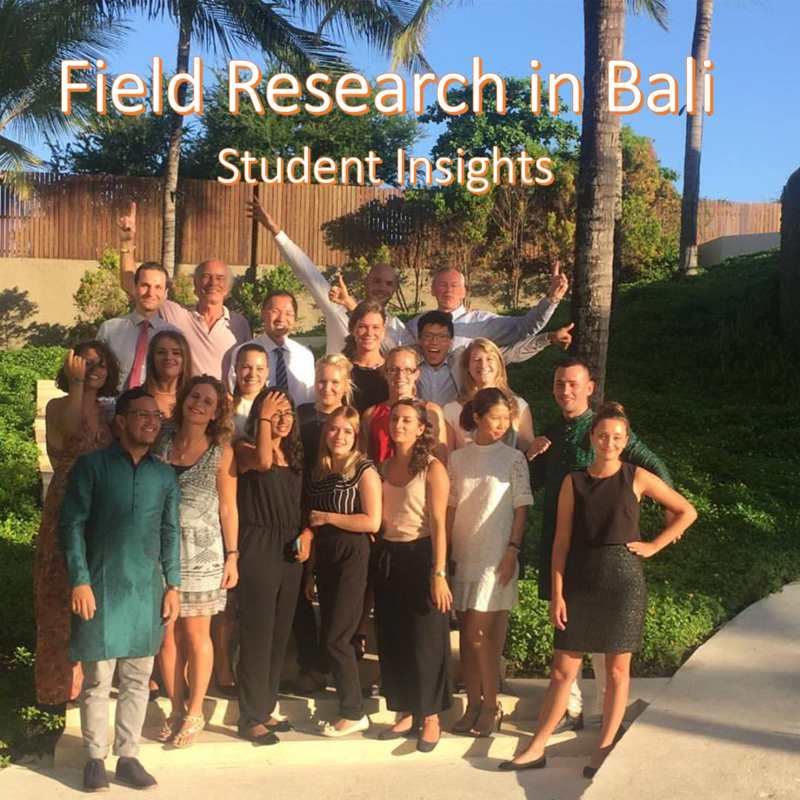 Data was gathered over four weeks in five Balinese villages and included participant observations resulting in over 150 pages of field notes,11 in-depth interviews with 14 experts and structured tourist interviews with 15 tourist groups totaling 43 participants. Data was analyzed with a qualitative content analysis using a three-step approach suggested by Charmaz (2014): open coding, focused coding and theoretical synthesis. Analysis of the data revealed four core themes of creative tourism in rural areas: the everyday life of locals in tourism products, sharing the everyday life with tourists, meaningful interaction between hosts and guests and cultural learning experiences for hosts and guests. Based on several positive and negative synergies between the two concepts, it is shown that in sum, creative tourism is a promising concept for villages if certain requirements are fulfilled. Findings partly confirmed and extended theoretical synergies of creative tourism and community-based. In total, five positive and one negative synergy between the two concepts are conveyed. Positive synergies are intangibility of creative tourism at low financial resources, more enthusiasm of locals to share their culture through creative tourism, preserving cultural heritage through creative learning experiences, more equal power distribution between hosts and guests through creative tourism and creative tourism involving locals without English knowledge. The negative synergy is that intangibility challenges the differentiation and marketing of villages. Furthermore, some basic ideas of creative tourism and community-based tourism change through their combination.The meaning and usability of authenticity in community-based creative tourism is reconsidered. Moreover, genuine interest in cultural exchange should be the main motivation of tourists and locals to engage in community-based creative tourism. To satisfy this interest a high level of interaction between hosts and guests, a high level of everyday life in the tourism product and a low level of adaptation of this everyday life are necessary. This implies that locals are willing to share their everyday life to a certain extent. The more these criteria are met, the higher is the cultural learning experience and the better can be the genuine interest in cultural exchange satisfied for both, tourists as well as the hosts.This requires destinations to design their products more spontaneously according to the everyday life schedule. Tourism remains a side business so that the industry does not become the new everyday life of locals. Instead, their everyday life is the ‘tourist attraction’ in which guests can be integrated without major adaptations for them. Tourists need to be flexible, culturally conscious, and interested in participating and interacting. 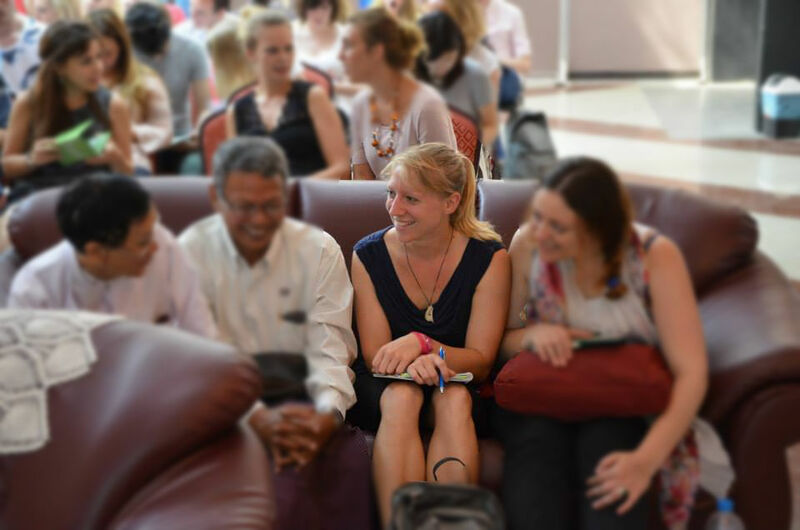 These insights provide several practical implications for destination managers in Balinese villages and external supporting organizations, but also for villages in other destinations. 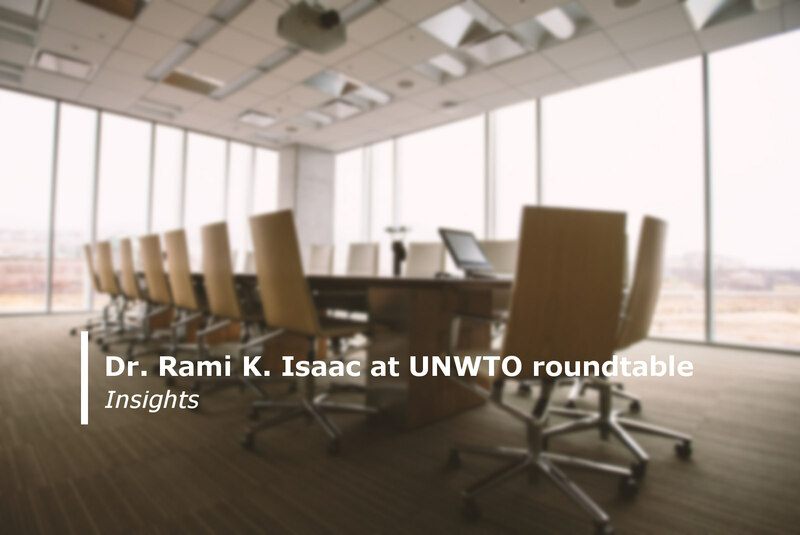 Advice focuses on creative tourism targeted to Western cultures. Product development is the main topic of advice but also the closely related fields of destination development, marketing and external support are included. In terms of destination development it is recommended to first check whether the vision and resources match the characteristics of community-based creative tourism based on a suggested list of criteria. Furthermore, it is advised to keep tourism on a small scale by limiting the number of tourists per day and fostering side incomes and jobs in the creative industries instead of fulltime jobs in tourism. In terms of marketing it is suggested to clearly define the target market and understand its expectations. More focus should be given to free independent travelers, e-commerce and online marketing. Moreover, differentiation could be achieved by emphasizing on interaction and local people in the promotion content. For product development the thesis offers an idea catalogue of cultural capital to be used for creative activities. Specific advice is given on how to develop activities, homestays, eating and transportation options. Furthermore, it is recommended to not only create packages but offer and price all items individually. External support is recommended for marketing and facilitating interaction between hosts and guests. For the former, umbrella marketing to promote Bali as a creative tourism destination and training about online marketing tools are suggested. For the latter, knowledge sharing of Balinese culture as well as training about creative tourism, focusing on the local’s role of teacher instead of servant, is advised. The study raises new questions for future research in the fields of motivations of creative tourists, marketing and the effects of community-based creative tourism in the long run. It is further suggested to do research about the combination of creative tourism and community-based tourism in other destinations to generalize and define the concept more clearly, building on the first ideas provided in this thesis. For a comprehensive reference list please take a look at the final thesis, linked below. As mentioned before this master thesis was written by Manuela Blapp.